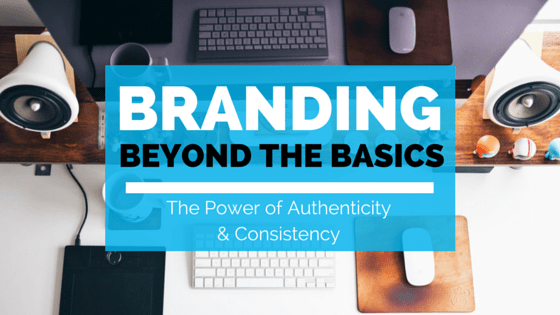 Harness the power of authenticity and consistency to build robust, meaningful brands. Brand. The basic dictionary definition just doesn’t do the word much justice. The word brand is more than an iconic advertising campaign, a household name, or a familiar jingle; it’s the sum of every opinion, decision, and interaction since the company’s inception involving every constituent, from investors to front-line employees. Brand is the heart, soul, and personality of a product or company, and therefore branding deserves a lot of attention to carefully hone and project to current and potential customers. Although our data-driven society would probably like it to be so, most measures of brand success simply aren’t quantifiable. While it can be frustrating to some, those who understand brand know therein lies the beauty of this beast. Unsurprisingly, Apple was recently named by Forbes as the world’s most valuable brand for the third year in a row, an accolade derived from market data and millions of consumer surveys. Why is Apple so beloved by both investors and consumers? The answer stems from a variety of factors, but the main component of the behemoth’s success is undeniably consistency of voice and purpose. After years of predominantly successful product launches and public adoration, we can all be sure of 3 things from Apple: 1) they will consistently provide a simple yet engaging platform for users; 2) they will consistently innovate and develop exciting new products; and 3) they will consistently be a thought leader in the technology space. But how do we know that Apple will continue to deliver? Apple is a trusted, authentic brand, and those are the factors that drive loyalty, and ultimately, sales and success. In a 2014 study conducted by global firm Cohn & Wolfe, 63% of consumers stated they would buy from a company they consider to be authentic, over and above competitors; over 90% of respondents said that honest, consistent communication was a more important factor in purchasing decisions and brand perception than product utility or popularity. It doesn’t matter what products or services your business sells; what matters is your ability to tell your brand story in an consistent, engaging way and inspire trust through your authenticity. Let’s take a look at how Apple and other organizations have established themselves as successful brands through the power of authenticity and consistency. In the wake of privacy concerns following the uncovering of surveillance efforts by the NSA, Apple began releasing a biannual transparency report beginning in late 2013. The report details the number of account and data device request Apple receives from national law enforcement, allowing any interested parties to learn more about Apple’s data sharing practices. San Francisco-based e-commerce startup Everlane, a popular retailer for affordable designer quality clothing, maintains a business model of honesty and integrity in its sourcing and production. Upon viewing the “Factories” section of the Everlane website, visitors can get an inside look into working conditions, materials utilized there, and even the local weather. The company even publicizes the costs and markups of all of its products, delving into how much each individual component, ranging from zippers to freight, affects the company’s margins and final price for the customer. By maintaining a consistent message of “radical transparency,” Everlane is quickly gaining traction in the clothing industry, looking to surpass industry giant American Apparel with reported sales growth of around 200% per year. Chipotle is an industry leader in the sustainable food movement, recently announcing their discontinuation of the use of GMOs in their product line, as well as showing their deep commitment to local, ethical sourcing. Their 2013 “The Scarecrow” campaign created a highly powerful narrative that established the company as as a thought leader of innovation amongst fast food giants. Chipotle boasts some of the highest satisfaction ratings in the quick-service industry, as well as a stock price increase of 350% over the last 5 years. We all love brands with a purpose; data from a recent study conducted by Edelman shows that 58% of consumers think it’s important for brands to have a clear mission and use their resources for good. A new wave of businesses commandeered by celebrities with a cause has recently emerged, most notably lead by actress Jessica Alba. Her venture, The Honest Company, is committed to providing safe, non-toxic products for babies and families, a concept that stemmed from her own poor experiences with chemical-laden cleaning and home products. The brand is sustainable in every sense of the word, from its packaging to its business operations; in fact, all electricity used at the company’s headquarters and warehouse is 100% renewable energy. While it’s not the mission of every brand to strive for these kinds of environmental and safety standards, The Honest Company is a shining example of how brands with a true commitment to a cause win the approval of consumers and investors alike. The company currently has an estimated $1 billion valuation, with sales projected to reach $250 million by the end of this year. Sustainable, successful brands are those that have proven their ability to harness the power of authenticity and consistency. Those brands that carefully craft their mission and vision to align with their daily operations in a cohesive, transparent way are those that satisfy and exceed expectations of investors and customers alike. Looking to solidify and communicate your brand’s message? Find branding agencies on Agency Spotter that can successfully tell your story.